Other Open cluster in the Constellation Puppis. Mag. 7.1, 14 arcmin in size. The bright star to the left of the cluster is OR Puppis. 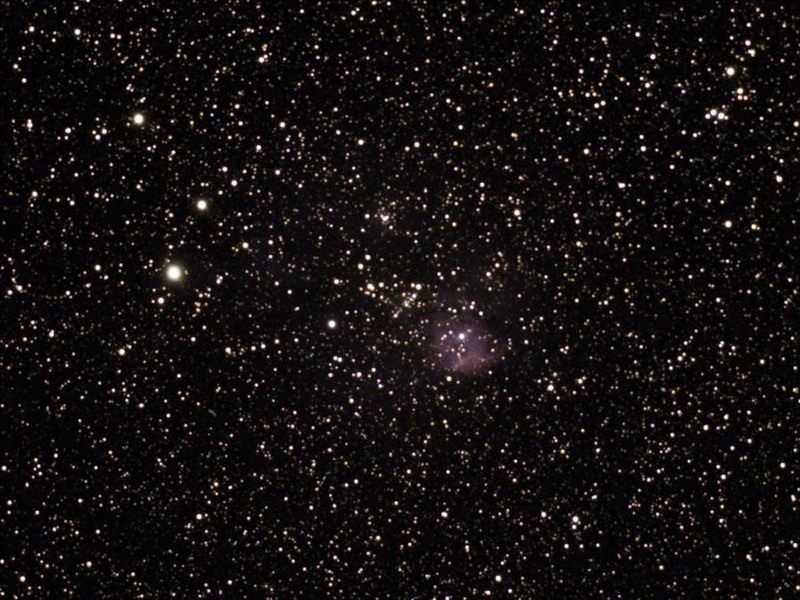 The nebula is colocated within the cluster.